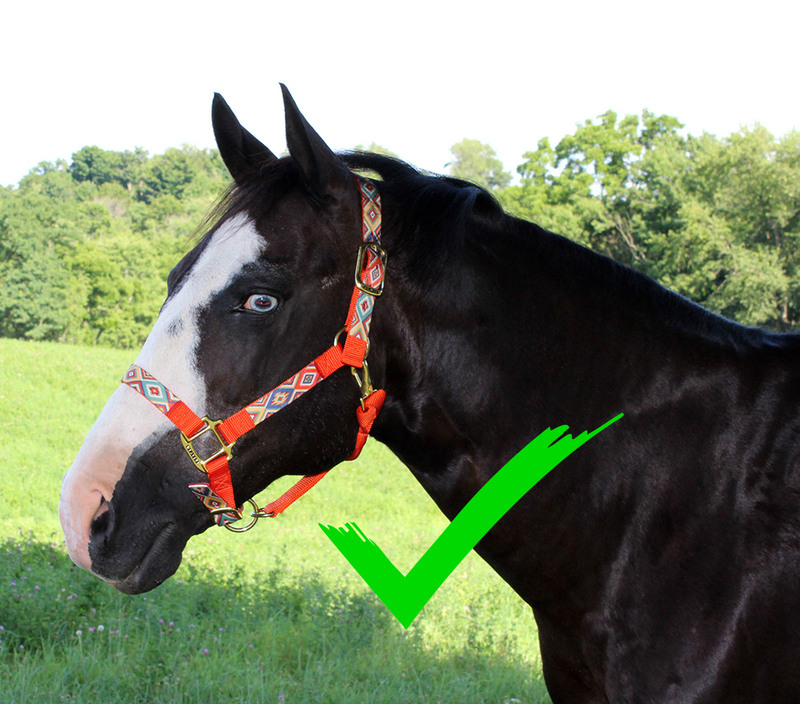 How do I know my halter fits properly? 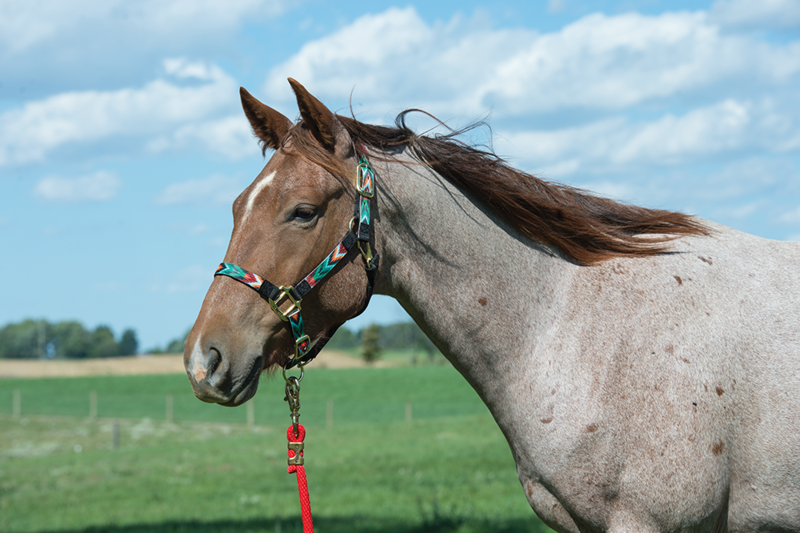 There are many classic and fashionable halters on the market to suit your needs, but it’s also important to keep in mind what purpose you are using the halter for to ensure the safety and well being of your horse. 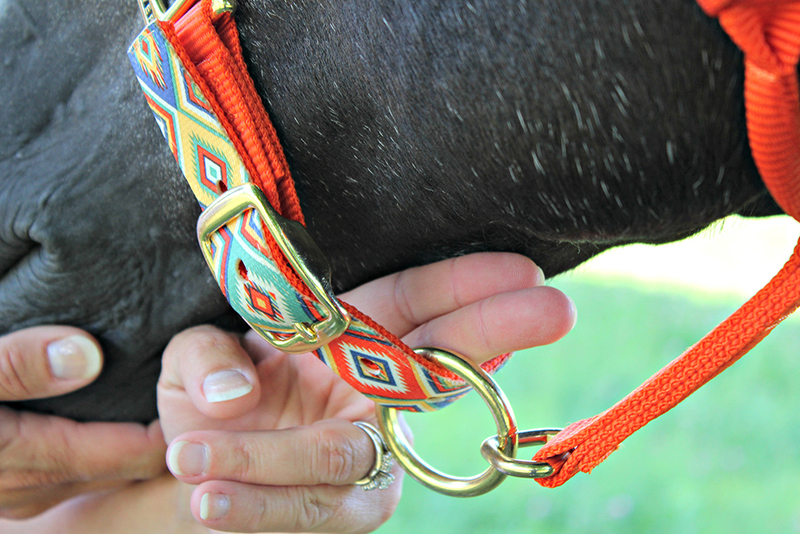 Traditional nylon webbing halters are exceptionally strong and great for everyday handling. However, breakaway halters featuring either a leather crown piece or breakaway fuse at the end of the crown piece are designed to give you piece of mind when trailering or turning out your horse. 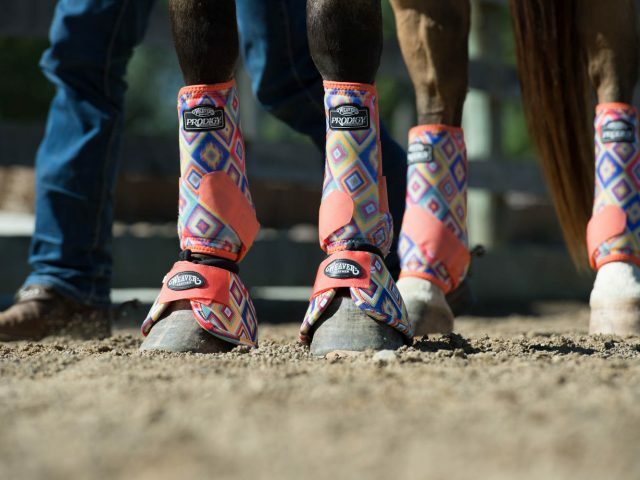 It can be overwhelming to walk into a tack store or shop online and guess what size your horse is. Many halters now list a recommended weight for each size to help guide consumers in the right direction. 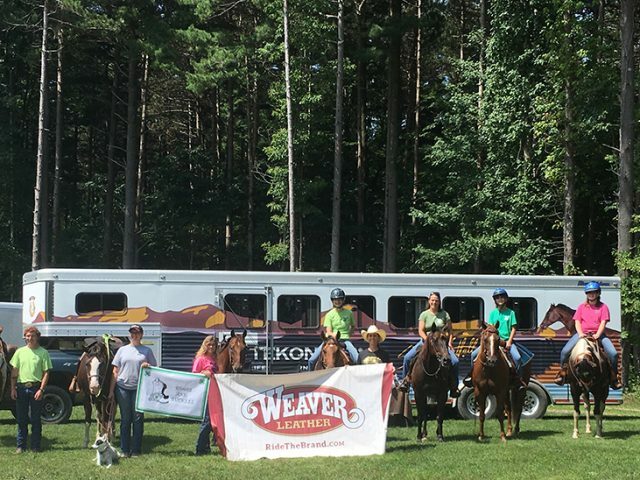 For example, Weaver Leather’s standard horse sizes are: small horse (500-800 lbs. ), average horse (800-1,100 lbs. ), and large horse (1,100-1,600 lbs.). 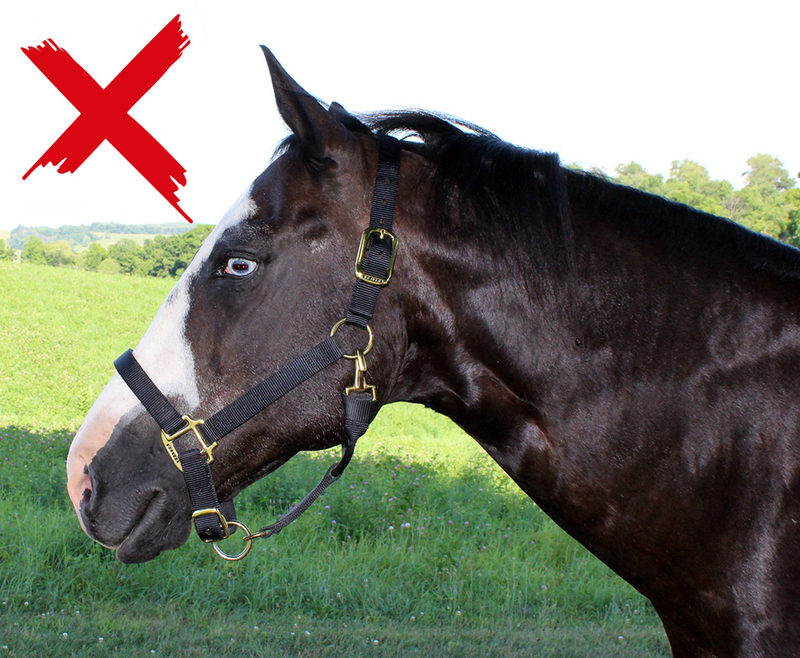 So you’ve bought a halter – now what? Crownpiece: The crownpiece sits across the horse’s poll, being close to the ears without pushing into them. The crownpiece affects the placement of the noseband, angles of the cheek pieces, and throatlatch tightness. Noseband: The noseband should lie close to halfway between the nose and the eyes of the horse. The hardware on the side of the noseband should sit below the cheek bones, with a width of 2-3 fingers between the noseband and the cheek bone. *A lower noseband than recommended may lead to impaired breathing or cause slippage over the nose. It also allows more room for the crownpiece to move, potentially slipping over the ears. Throatlatch: The throatlatch should rest comfortably where the neck meets the jowls. Sliding 3-4 fingers between the throatlatch and the throat of the horse will ensure the horse can breathe and swallow but not allow enough room for a hoof to get caught in the halter. Cheek pieces: The cheek pieces run parallel and below the cheek bones. 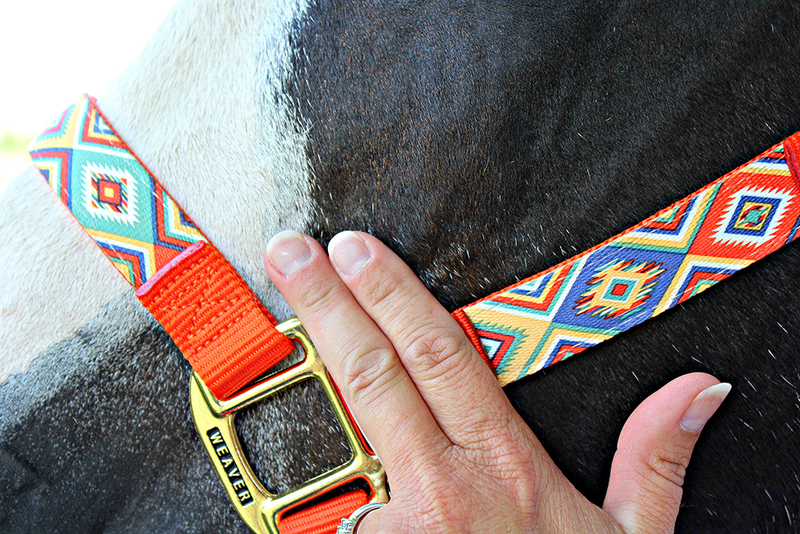 If they are too high, the halter will rub against the facial bones of the horse and cause irritation. If the cheek piece angle is incorrect, it can be altered by adjusting the crown piece. 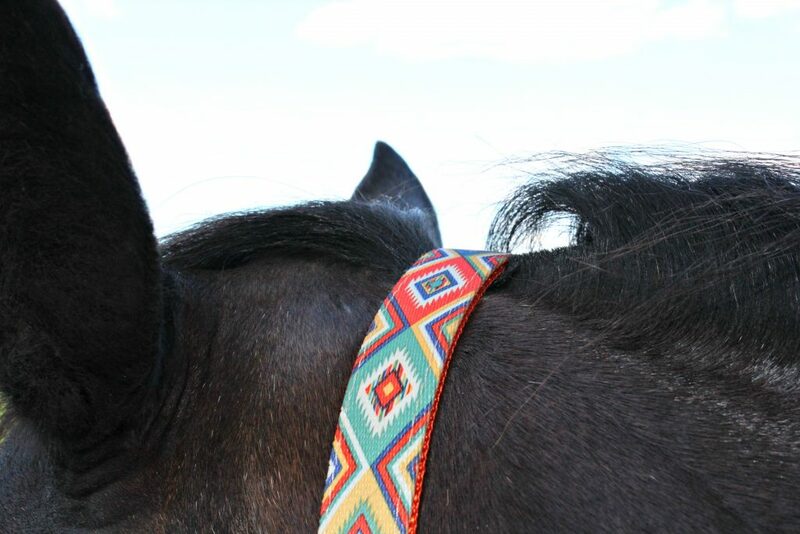 A halter that is fitted too large could slip off, slide on the horse’s face and push buckles and hardware into the eyes, or allow a hoof or large object to get caught in it. A properly fitted halter should allow the horse to open its mouth and chew, with the hardware and straps sitting in comfortable locations on the horse’s head. And there you have it! 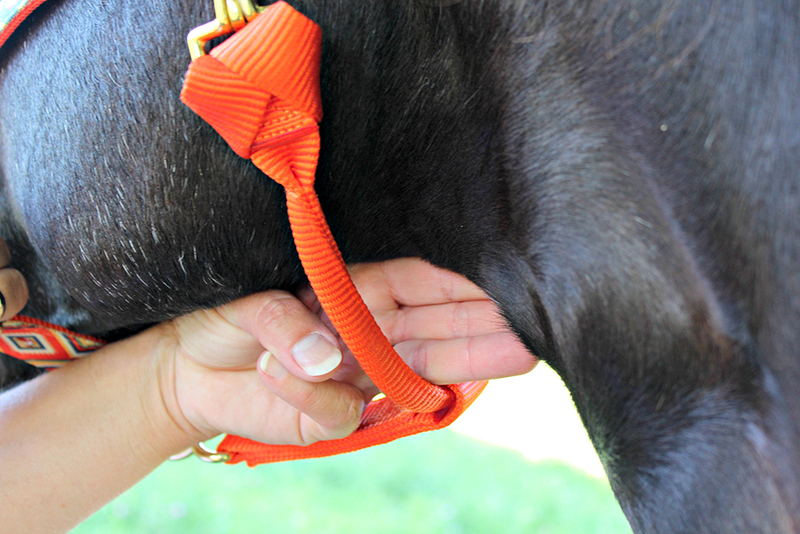 Hopefully this information will help you the next time you go to purchase and fit your next nylon halter for your horse!